Includes a chapter on the mourning process discussing the personal and social difficulties that shape mourning, as well as guidelines for approaching special types of grief including suicide, sudden death and miscarriage. This title is suitable for those who work with the bereaved, from those just entering the field, to seasoned practitioners. Grief affects different people in different ways, most emerge from mourning in a healthy manner but for some the death of a loved one can cause intense emotional pain that is difficult to recover from. This type of grief can often surface as an underlying cause of physical and mental health problems requiring professional treatment. 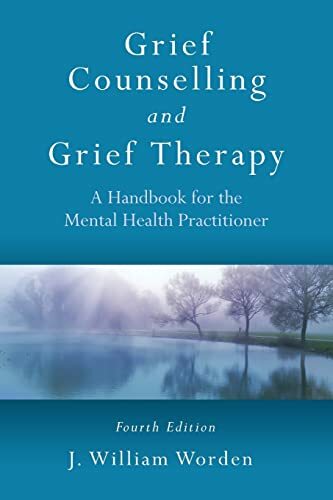 This highly anticipated fourth edition builds on the success of the previous editions which received worldwide acclaim for their sensitive, insightful, and practical approach to grief counselling. Worden incorporates emerging theories and cutting edge research into this fully revised edition which includes: a new chapter on the mourning process discussing the personal and social difficulties that shape mourning detailed guidelines for approaching special types of grief including suicide, sudden death and miscarriage an updated version of the Task Model. Grief Counselling and Grief Therapy is an essential resource for everyone working with the bereaved, from those just entering the field, to seasoned practitioners.